A dental crown is an artificial imitation of a real tooth that fits over a decayed, damaged, or unsightly tooth. It can be used to replace a tooth entirely as a dental implant or as a part of dental bridgework. A crown is built to replace the visible part of a tooth and will require a tooth structure or an imitation to support it such as a dental implant. In addition to this, crowns can help strength damaged teeth and allow them to function normal again. They are fabricated using materials that make it possible for crowns to as much as possible like natural teeth, and can be designed in a way to enhance upon a tooth’s original appearance. The complete crown treatment usually takes a few visits. The initial visit includes preparing your tooth to receive its new crown. The dentist will shape it to fit inside the new covering, and a little drilling to give the tooth a uniform shape. The affected area will be numbed using a local anesthetic before the treatment. 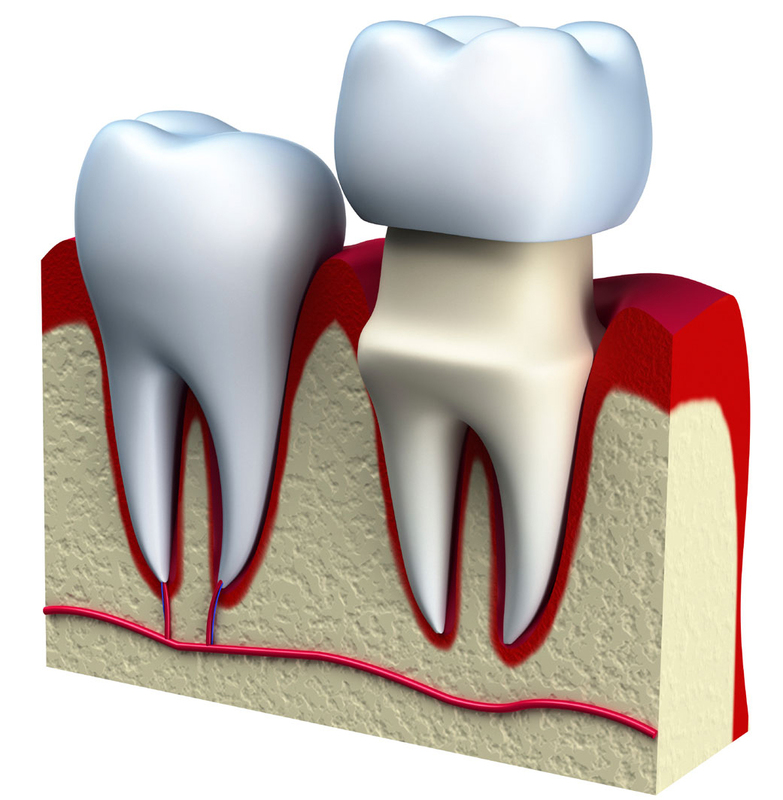 In case there is a lack of structure, the support tooth may have to be built using filling material for the crown. In case of implants, the implant and abutment are placed first. The dentist will make sure that the artificial devices do not disrupt the normal functioning of the bone and surrounding tissue. The abutment is the support that will hold the crown in place. It does not require support from the surrounding teeth as it is an independent device in itself. Once your tooth is prepared, the dentist takes impressions of your teeth, either digitally or with putty-like reliable materials which are sent to the lab. The impressions are then used to make models of your teeth for the creation of a crown. The models will also serve as guides to lab technicians, while they ensure that your new crown is designed to not only improve your smile but also to function well within your bite. A temporary crown will be placed to your tooth before you leave the office to protect it until the permanent crown is created. 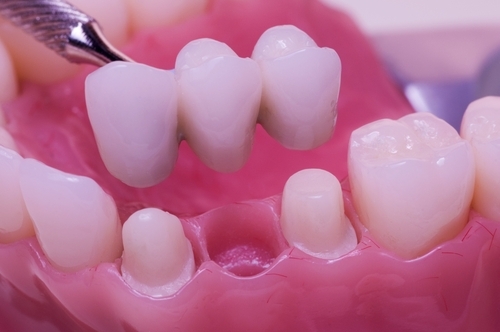 The second visit involves attaching your permanent crown to your tooth with resin, or a type of permanent cement that hardens when exposed to a special light source. To learn more about related articles Click Here. The procedure spans the space of the missing tooth and requires at least three crows – two of them to be placed over healthy teeth (abutment teeth) on either side of the missing tooth to support the third crown (pontic) placed in between them. For more than one missing tooth; more crowns will be used in the bridge. The requirement is also based on the size and length of the supporting tooth roots, the amount of bone support and the location of the missing tooth in the mouth. For implants, the process becomes simpler. The missing tooth is replaced with the implant with an existing metal abutment for supporting the crown. The finalized crown is then screwed on the abutment and will begin to function like a natural tooth in a couple of days.